Here are some of the key points Mopinion explores in the webinar. Take a look. There are many analytics tools being used by digital teams to measure online behaviour, such as web analytics (e.g. Google Analytics), user testing (e.g. A/B testing) and screen recordings (e.g. click behaviour). These are tools that can measure which pages convert best. However, with a sole focus on measuring quantitative data, a lot of context is often missing from the use of these tools. As Mopinion explains, these tools are missing qualitative insights that explain ‘why’ your visitors do what they do. 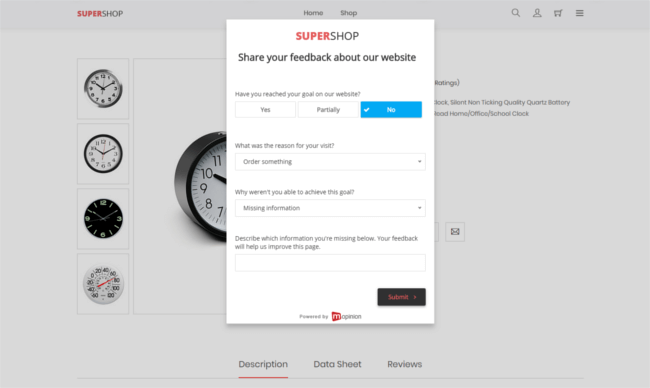 Feedback analytics is essentially a process that enables its users to gain insight into how customers experience their website. This is done in three phases: feedback collection, feedback analysis and taking action on feedback. Both qualitative (open comments) and quantitative data (e.g. metrics such as Net Promoter Score, Customer Satisfaction, Goal Completion Rate) are used to measure the CX. Mopinion breaks the ordering funnel down into three critical stages where businesses can really capture a lot of useful insights, including which kinds of questions you should ask within these stages (note: within these stages, your question strategy will vary). 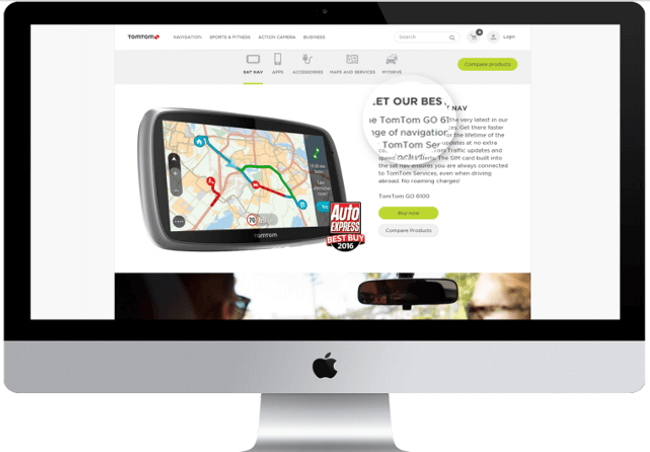 First, there are Product Content pages, where visitors are searching for details about products or additional information to help them make their purchase. As Jadnanansing mentions, there are several Call-To-Actions (or CTAs) on these pages, such as a ‘Buy Now’ button that should help boost the customer to convert. However, when your customer fails to click on one of these CTAs and therefore fails to convert, the next step is to understand why. Was the information on the product page unclear? Is something on the page malfunctioning? Here we learn that both a passive feedback button can be applied as well as exit feedback forms. Exit feedback forms in this stage are intended for understanding why the customer is leaving the page, so you will want to ask questions that encourage the visitor to explain what’s going on. For example, you can ask if they achieved the goal they set out for themselves on your website. This with a number of follow-up questions should suffice. Sample follow up questions may include: what was the reason for your visit and why didn’t you achieve your goal? Metrics used here are often Goal Completion Rate and Customer Effort Score. The second stage Mopinion touches on is the Ordering Funnel. This is where visitors end up after clicking on one of the aforementioned CTAs. It is emphasised that this is also an important stage to collect feedback as this is where the majority of customers tend to drop off – in other words an ideal moment to collect feedback and determine why they’re leaving the funnel. Here you will mainly use exit feedback forms, which are triggered based on what is referred to as ‘exit intent’. This occurs, for example, when the cursor is headed towards the browser controls to leave the page. So when an exit feedback form is triggered, it’s good to start with a very simple question such as ‘Why are you leaving the ordering process?’ with follow up questions such as ‘What were you looking for’ and ‘How much effort did it cost you to find what you were looking for’? Note: it is emphasized that form logics are an especially critical part of feedback forms in this stage. A metric we often use here is Customer Effort Score as this gives the user a good indication of whether the customer is leaving the page due to problems on the page itself (e.g. getting an error trying to fill in a coupon code) or for other reasons. If you consistently measure CES over time, it will provide you with insight into whether this particular funnel costs your visitors more or less effort. Low CES is usually due to bottlenecks such as page errors or bugs on the site. Lastly, there’s the Thank You page or Confirmation page. 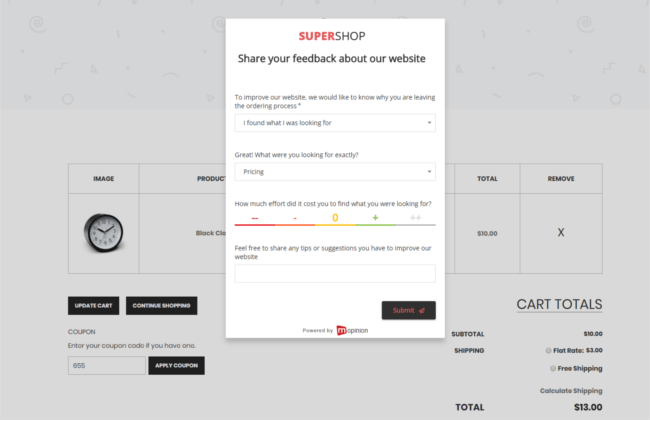 Although many marketers believe that this page is unimportant in terms of feedback collection – as the visitor has already converted into a customer – this is actually a great moment to collect feedback as these customers have gone through the entire process and can therefore provide you with which aspects/funnels they thought were difficult or easy. Metrics used here are often Customer Effort Score (gives insight into how smooth the entire process was for the customer) and transactional Net Promoter Score (gives insight into whether your customers will recommend your brand based on the purchasing process they’ve just gone through). Mopinion also touches on how to analyse the feedback you collect. In this phase of your customer feedback programme, it is important to understand what is driving certain metrics such as customer loyalty if you want to improve them. To do this you will want to analyse root causes before diving into the more complex or niche problems that arise in your feedback. 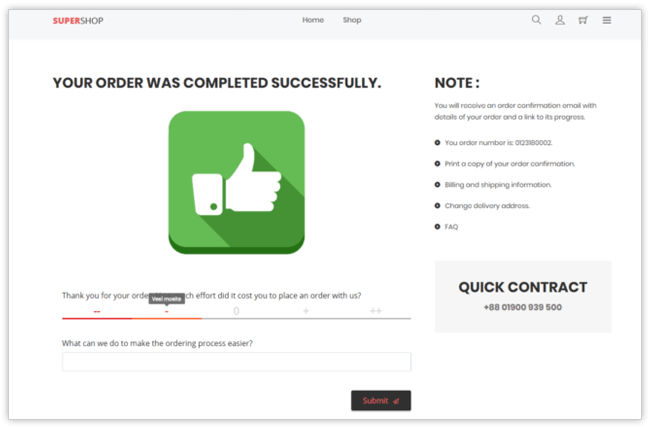 This can be done by creating reports for the different parts of your website, such as the ‘ordering process for consumers’, the ‘ordering process for business customers’, or ‘data from your mobile app’. 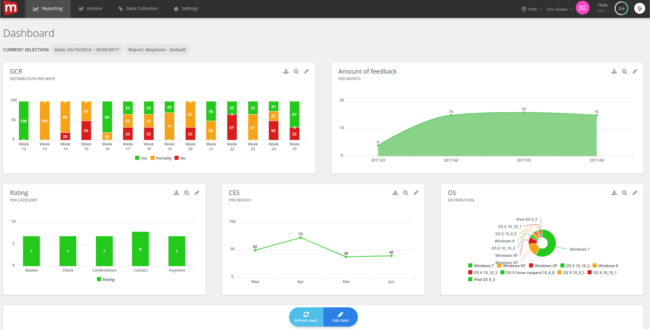 By creating your own charts within the dashboard, users can analyse the feedback in a way that is suitable to their needs. For example, a chart can be created that outlines how often particular goals were not achieved, or a chart showing the amount of unsuccessful visitors in each of the funnels (e.g. 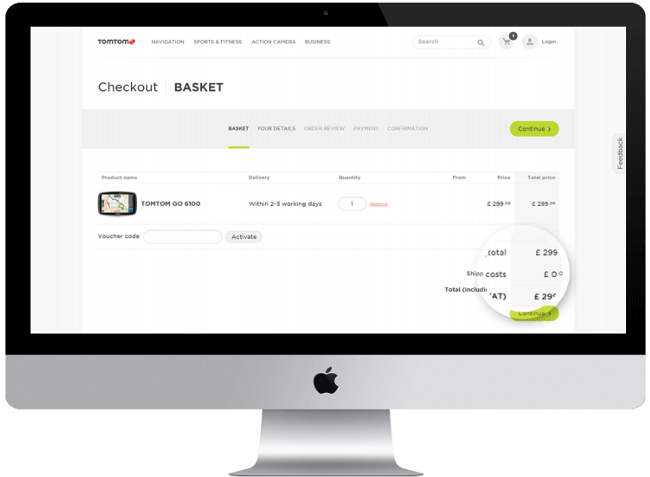 shopping cart, contact, confirmation or payment). This makes its clear right away which areas your team needs to focus on improving. This is also your chance to review leads previously captured in your feedback forms. These leads are typically visitors who tried to place an order but were for some reason unsuccessful. To easily pinpoint who your leads are, you can create an overview in a chart on your dashboard showing the total amount of leads. Want to learn more? Feel free to check out other past (pre-recorded) webinars here.